Synergistic mix of wild organic turmeric, ginger, and cinnamon eases aches and pains better than conventional non-steroidal anti-inflammatory drugs. 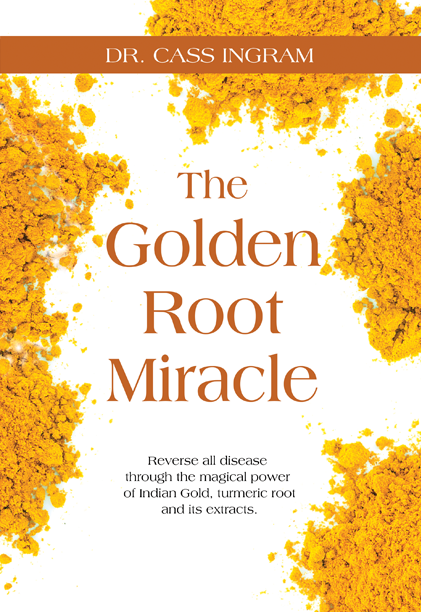 "This special collection of spices – turmeric, ginger, and cinnamon -- has been the “go-to” pain and inflammation remedy since Biblical times." -- Dr. Cass Ingram, author of The Golden Root Miracle. Used for centuries in India and China for arthritis and various immune disorders, recent scientific studies confirm that turmeric has potent anti-inflammatory properties and represents a potential effective natural treatment for arthritis and other chronic inflammatory conditions. Curcumin, a component of the turmeric spice, appears to be very beneficial for reducing inflammation and improving symptoms of osteoarthritis and rheumatoid arthritis. It has been found that extract of turmeric was equal in pain relieving efficacy to ibuprofen. Other spices used in the Turmeric Power-Plus formulation include pain-and-inflammation-fighting organic ginger, flavonoid-rich wild organic rosemary oil, organic wild oregano oil, and cinnamon oil. Made from certified wild organic turmeric root powder, organic and wild Ceylon cinnamon powder, and organic ginger powder, NAH&S’s Triple Spice Golden Latte blend was formulated to be used in making the most delicious, fragrant turmeric milk possible, known as Golden Milk. Dense in powerful phytochemicals, Triple Spice Golden Latte is a potent complex of healing spices, and ultra-high in potent aromatic oils called “turmerones”. The blend is also high in organic ginger compounds known as “gingerols”. Triple Spice Golden Latte supports a healthy inflammation response plus a healthy digestive response. 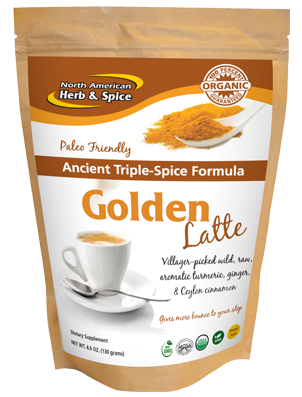 The turmeric in Triple Spice Golden Latte is dense in curcumin at 5% or greater, which accounts for the beverage’s rich, delicious flavor when milk is added per instructions on the packaging. The spicy powder can also be sprinkled in food. “People are often surprised at the amount of pain relief spices can offer, but this special collection of spices – turmeric, ginger, and cinnamon -- has been the “go-to” pain and inflammation remedy since before Biblical days -- and this trio is still just as effective today,” says Dr. Ingram. On medium heat bring mixture of milk and Triple Spice Golden Latte to just-before-boiling. Simmer on low heat for five minutes or more, stirring occasionally. When done, add fat, sweeten as desired and serve. On medium heat bring water to just before boiling. 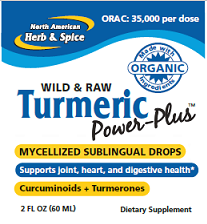 Mix in 20 drops of Turmeric Power Plus extract, 2 tbsp. of yacon syrup and a dash of cayenne, stir with a whisk. When done, squeeze wedge of lemon and enjoy.